Super Smash Bros. Ultimate was announced at E3 last month, much to the delight of Smash fans. In its announcement, Nintendo revealed every single character who has ever been in a Smash game will be in Ultimate. Besides that, there will also be some new faces, like Ridley. Ultimate has 65 confirmed characters, and there could be even more players will be able to unlock in-game, a trend for Smash games. 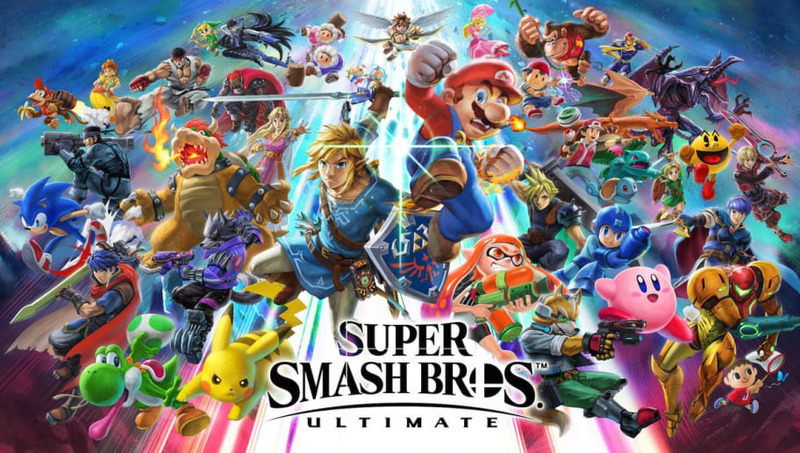 Ultimate is going to be the Mortal Kombat: Armageddon of Smash games in terms of its roster, and that's something that could attract any Smash player to try the new game. The game is going to be a new IP and is not a port of Super Smash Bros. Wii U (Smash 4). That means it's coming with new mechanics, something Nintendo strategically included. For those not privy to the timeline of Smash games, Melee was the second installment of the franchise, and it is still the most popular franchise, even though two new Smash games came out after it. Because of Melee's high skill ceiling, intense mechanics and aesthetic art style, it has stood the test of time, and players have been competing and making a living wage off it since 2001. Initially, Nintendo was not receptive to the competitive community that spawned from Melee, but when Smash 4 came out, the developer changed its stance and slowly supported the scene more over time. But Nintendo is a business, and it would much rather have people buy the newest Smash games instead of continuing to play old ones. So, to try and "steal" the Melee fan base and transition it into Ultimate, Nintendo took the basic framework of Smash 4 and made it slightly more mechanical by adding some mechanics from Melee, like wavelanding and directional air dodging. Software modification? Prize money? Nintendo’s future in esports? "The community themselves need to rally around a particular title," Nintendo's Reggie Fils-Aimé said in an interview with ESPN at E3. "Meaning, as the Melee community gets their hands on Smash Bros. Ultimate, and they see the speed, they see some of the gameplay mechanics that Mr. [Masahiro] Sakurai has put in that, if they get excited about that -- and we had some Melee players get their hands on the game, and they were quite excited -- we could see a consolidation of Smash play, competitive play, behind Ultimate, which in our view would be fantastic." With Ultimate, Nintendo got so close but is still so far away from achieving its goal. It wanted to try and convince Melee players to drop Melee and play Ultimate by adding a few technical aspects to the game. Instead of adding most, if not all, of the mechanics from Melee into Ultimate, Nintendo hand-picked a couple that don't really change the game a whole lot. It also implemented elements into Ultimate that take away from competitive play. For instance, a player can no longer run through a character that is shielding; instead, the player will just push the shielding character in whatever direction the players running -- yeah, goodbye crossups. No one asked for that, Nintendo. Nintendo can do whatever it wants with its games, but if it was really trying to win over the Melee fan base, it failed dramatically. All of the incredibly precise and technical aspects of Melee do not take away from its ability to be enjoyed by anyone who picks it up. You don't need to be a mechanical genius to play Melee. Nintendo could have simply added all of those desirable mechanics from Melee into Ultimate and not hurt the casual player one bit. Most casual Melee players don't know how to use any of the advanced techniques, but they can still have fun playing. The same could be applied to Ultimate casual players if the game had those mechanics. Don't get why people are assuming melee players hate the game cause it's " not melee "
Many pro players who have tried Ultimate say that it is definitely faster than Smash 4, but it is not quite Melee. It's likely Nintendo will never be able to transition the whole of the Melee fan base to a newer Smash game. The Melee scene has a culture for its game that no other Smash game does. You've got to be at least strong enough to carry a CRT in order to play. There's a chance Ultimate will steal some Melee players, but Melee is still far from dying. Despite Nintendo's many attempts to either kill the game, or absorb its player base into a new game, the Melee community will continue to stand as it has for over 17 years. Unless Nintendo either makes a Melee HD, or incorporates most of the Melee mechanics into a newer Smash title, the game and its community aren't going anywhere. Nintendo's competitive changes in Ultimate are a good step forward for the future of Smash games, but the company still has a long way to go before it gets it right.